At the Slush Cup competition in Girdwood, Alaska, skiers take on both snow and water all in one course. 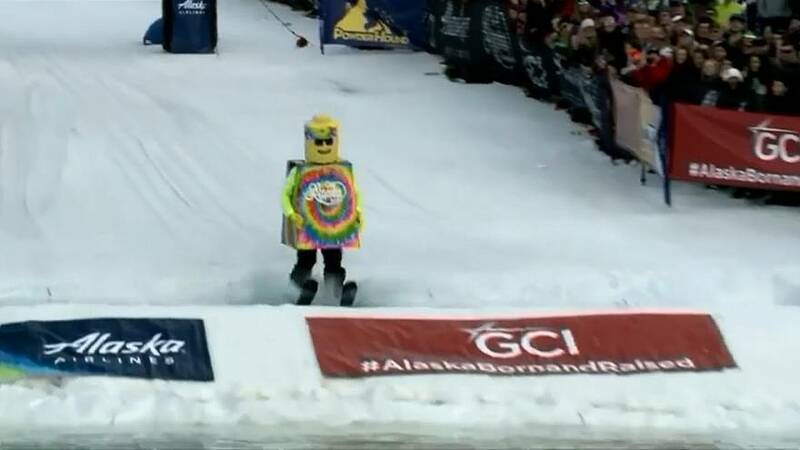 Competitors in costume ski down the mountain then attempt to cross a 27-metre pond at the bottom. The winner receives a ski pass for the Alyeska resort, where the Cup is contested, for the following winter season. The annual event, which has been running for 42 years, is a celebration of the end of winter and the beginning of spring.